As a business owner, it is important to communicate and convert using your website. 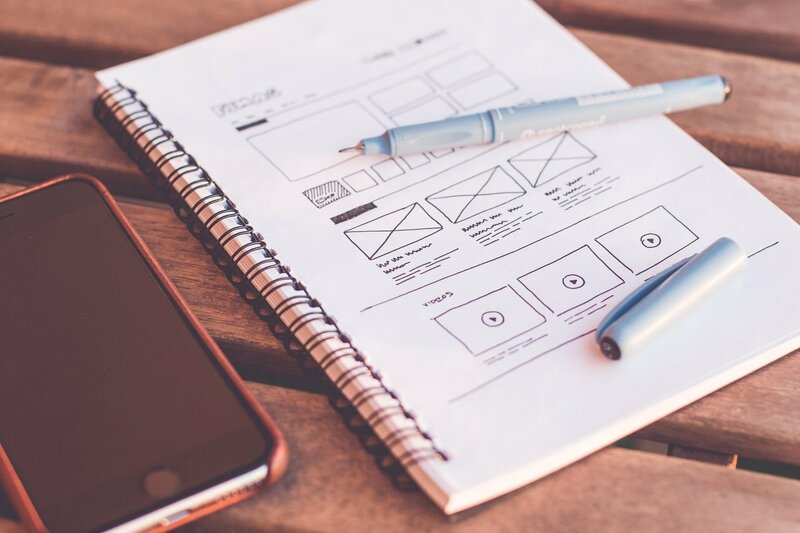 Successful business owners know that their website needs to incorporate the latest in website design to be easily found and used across multiple platforms. Prioritizing the latest changes that must be made in order to stay ahead and be found on search engines. Learn more about the website design trends emerging and continuing throughout 2018 today. As if the trend of minimalism hasn’t gone far enough with individuals simplifying their homes and lifestyles, minimalism is now set to impact photographic content. Simple and clear will continue to be visually appealing but changes may be seen with the use of vibrant colors and large fonts. Communication without the clutter is key. And minimalistic style pares down content to its essential core without losing emotional impact. In addition, when it comes to imagery, stock photos are out and more realistic portrayals of individuals from diverse backgrounds will be prominent in 2018. Apps will continue to be a hot technology while designers work on improving accessibility and functionality for users. This does not only impact the app version of websites, but also apps as communicative devices between users and their multiple devices. The value beyond “activation” is becoming apparent and many individuals are using apps within their lives from simply accessing information to controlling thermostats and security features in a home. User familiarity with apps and expanding IoT technology will be factors supporting the drive to get more value and to establish realistic benchmarks and success metrics. There will be changes to come for the average user and more affordable and refined UI solutions for SaaS founders. Mobile-friendly design becomes more of a focus as Google begins 2018 with a new Mobile First Index. The mobile version of a website will be seen first in search results with this initiative. With the significant increase in website traffic via mobile phones continuing year after year, all website developers and website owners need to ensure that the mobile version of a website is user-friendly and functional. These trends are only the tip of the proverbial iceberg when we look at what changes may impact website developers and business owners in 2018. Whether a company is B2B or B2C, the trends above are sure to influence message delivery and the use of website and app interfaces. Is your business ready to compete in an every-changing online world? For a strategic plan that gets results, contact us today.